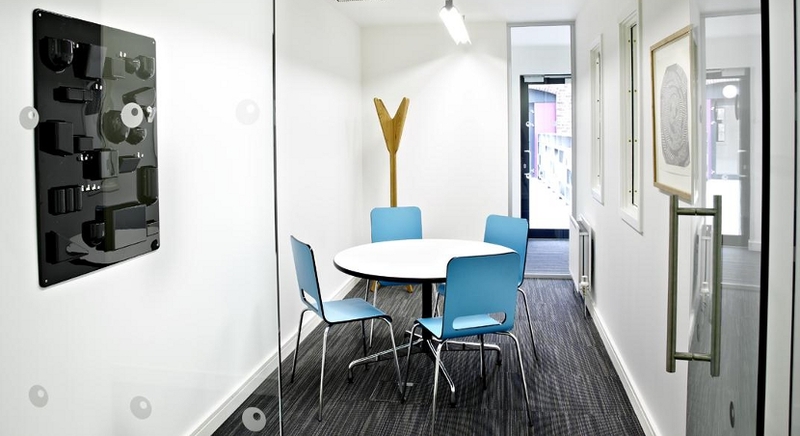 Companies based in Toffee Factory have free use of five unique highly specified meeting rooms which seat four to sixteen people. These rooms are distributed around the building alongside other informal breakout areas, a reception area and outdoor spaces. The meeting rooms have Wi-Fi access and are furnished with a range of design classics and pieces from local designer makers. Projectors and flipcharts can also be provided.